A spokesman for the Tony Blair Faith Foundation has quashed rumours that the organisation had a hand in funding the Catholic Voicesproject . He said that the foundation has not donated money to the project. (To see the TBFF’s donations, click here). The rumour surfaced amidst speculations about the identity of a major donor to the project dedicated to training up lay Catholics to be media-savvy ahead of the Pope’s visit to Britain in September. Catholic Voices is under the auspices of the Catholic Union. 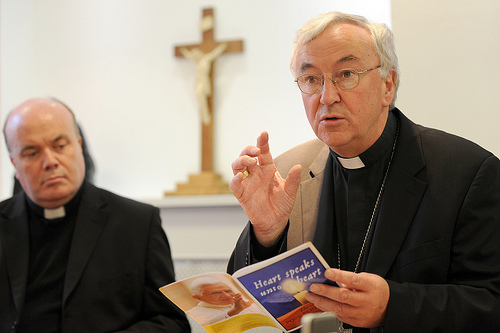 Bishop Edwin Barnes, the emeritus Anglican bishop of Richborough, has written a piece on the Anglo-Catholic blog about the increasingly reticent sounds coming from Britain about the possibility of joining an Ordinariate. Entitled ‘Cold Feet’, the article gives a sense of the mood in England and Wales towards taking up the offer of an ordinariate among Catholic members of the Church of England. We interviewed Archbishop Vincent Nichols about the Papal visit in September after he presented the new booklet promoting the visit. 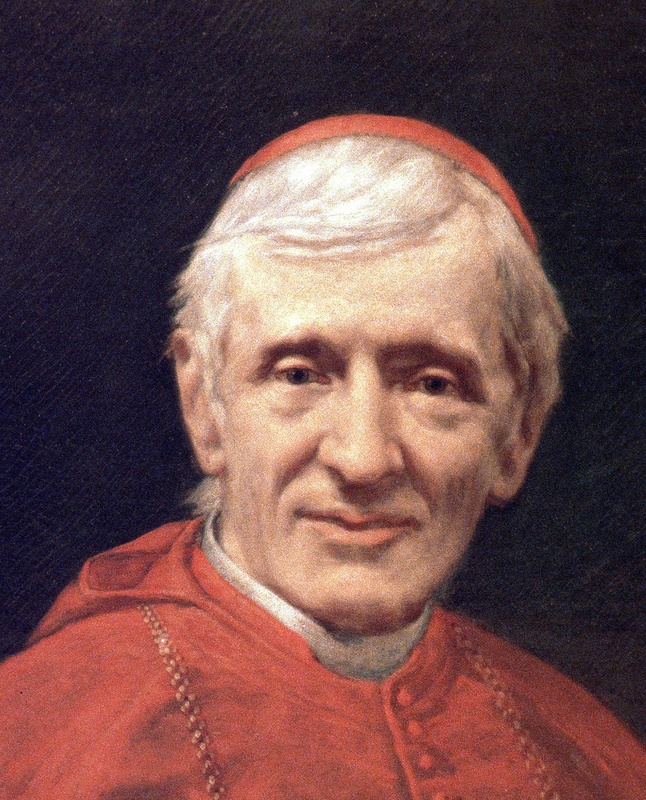 During the interview he explains why he is pleased it is a state visit, what is exciting about it and why he is emphasising Cardinal John Henry Newman’s role as a parish priest. He also invites Catholics in England and Wales to put their support behind the Pope during the visit by praying, coming out to the events and giving financial and spiritual support. Full text of my interview with Archbishop Smith. I left out some sections because I was taking too long with transcribing. NB It is all pretty rough. If there are gramatical errors or spelling mistakes, please ignore them. How does it feel to be coming home? To be honest I have mixed feelings about it. I was well settled in Wales. It was a very sensitive situation when I first got there after the resignation of Archbishop Ward, so I got kind of parachuted in. It was quite difficult. But over the eight and a half years I’ve been there I’ve got to know the priests and the people. And they’re a great lot. They’ve got a great faith and a great sense of humour. But I don’t think they could quite work me out as when I first came. They weren’t used to it I think. I’ll miss them an awful lot. It’s a much smaller diocese than this, not geographically but in terms of numbers which makes it easier for the bishop to get to know people. And the other thing when I went there was that there was virtually no relationship with the local media. 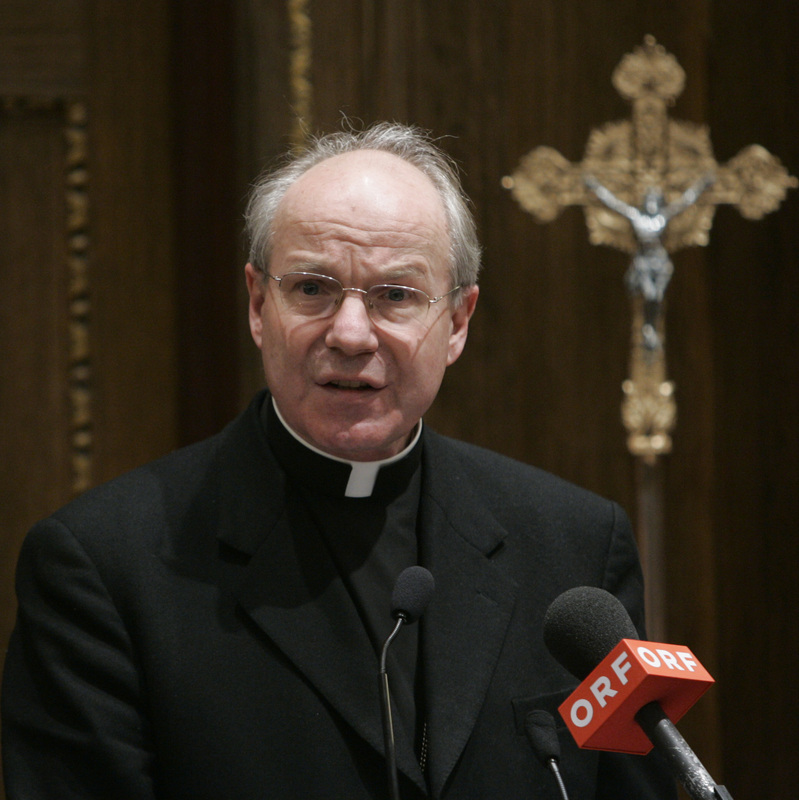 While Pope Benedict’s former Zauberlehrling , Cardinal Christoph Schoenborn managed to extract himself from comments he made earlier this year about re-examining priestly celibacy in light of clerical abuse of minors, the debate over celibacy continues to rage in Austria and Germany. Bishops have been pitted against brother bishops and the mood is ugly. The Ober-Oesterreichische Nachrichten reported today that more than 59 per cent of Austrian priests would like to abolish mandatory celibacy—and the number, unsurprisingly, is highest in the ultra-progressive diocese of Linz, where three quarters of the priests would like to abolish the tradition. It is a poorly kept secret that many of Austria’s priests keep mistresses. One interesting detail on the matter is that, according to the study cited in the OONachrichten, younger priests tend to be more in favour of mandatory celibacy while older priests up to the age of 75 are more decidedly against it.